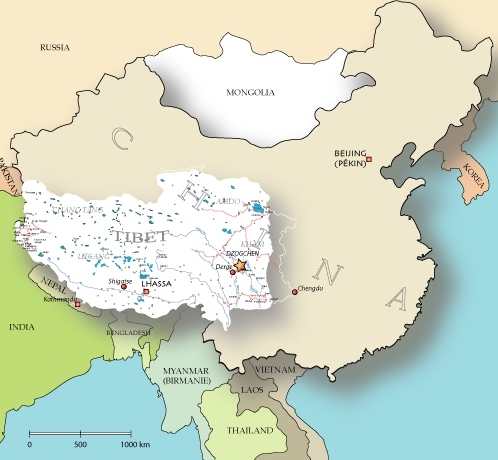 The Dzogchen region is situated at an altitude of 4 000 m in the high Himalayan plateaux, in the region of Kham, which is currently part of the Chinese province of Sichuan. 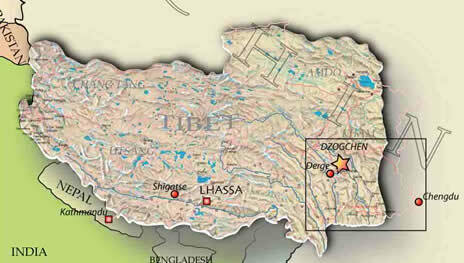 Dzogchen covers an area of 5 000 km2, and is chiefly inhabited by Tibetan nomads. The small Chinese population is mainly concentrated in the small town of Kanzi, which is the region’s main population centre and seat of the local authorities.